Our design staff will directly arrange a date & time convenient for you, to visit your home, carry out a survey and assess your needs. At this stage, we will be happy to discuss your requirements & the design options available. In addition, we will explain any Local Authority requirements or restrictions that may apply as well as advising on matters such as Building & Fire regulations and Party Wall requirements. Once your needs have been assessed we will propose different designs and offer a variety of budgets to suit any requirements. We then have our Surveyor and Architect draw up your plans ready for your final approval. If you have already made use of an Architect/Surveyor who has provided plans and possibly even Local Authority Consents, we would be pleased to provide a fixed-price quotation based on your own design. 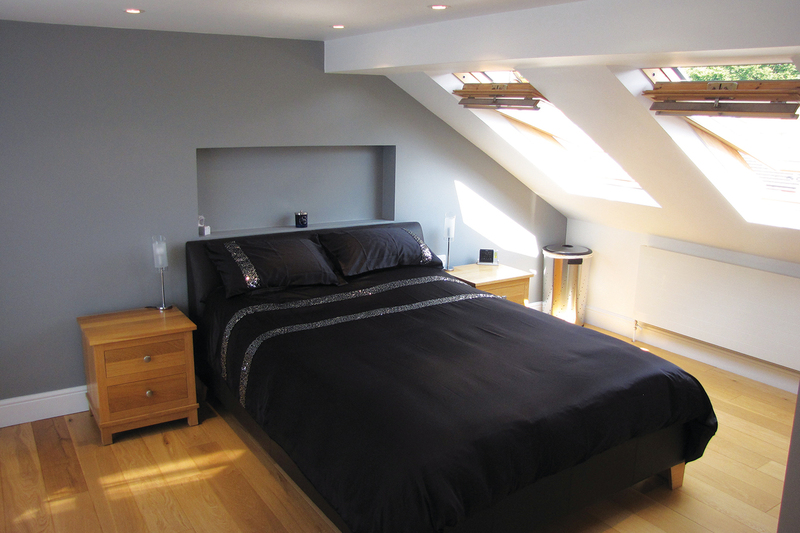 All Loft Conversions of whatever size, style or complexity require Building Regulations Approval. Some Loft Conversions require formal planning permission, for instance properties designated as being ‘multiple occupancy’ (such as flats) or if the property falls within a designated Conservation area. Our designer will advise if formal approval is required and if so, which scheme is most likely to be successful. As a specialist loft contractor, we have extensive experience with most London local authorities and local planning policy. Where Loft Conversions fall within the criteria of Permitted Development, it is recommended that a Certificate of Lawful Development (CLD) be obtained from the Local Authority, the application for which can be made by ourselves on your behalf. Click Here for a complete listing of Local Council Links. Your initial enquiry will be passed to one of our Designers who will contact you to arrange a convenient time to discuss your project requirements in detail, how you would like to use the space created and any design features that may be important to you. We will explain if there are any planning restrictions & the criteria required to meet Building Control approval (including fire regulations below loft level) in order to ensure a legally compliant build. We can also outline your obligations with regard to party Wall Agreements. We will need to measure your first floor to get an accurate footprint of your loft, check within the loft to measure head height and positioning of any chimneys/flues/tanks. It is also very useful to be able to have rear access to establish if there are any other issues that would impact on the build eg chimneys and soil pipe. This initial meeting should be viewed as an information gathering exercise for both parties. From this we will be able to supply you with bespoke Design Drawings and a detailed Fixed Price Quotation. Our quotation is very thorough, clearly detailing out what is and what is not included within our fixed price. This quotation then forms the basis of our contract. Once contracts have been signed, a measured survey will be carried out and full working drawings produced. These drawings will be sent out for your perusal. We will need your approval (with any amendments if applicable) so that they can be submitted for either full formal planning permission or, where the project falls within Permitted Development guidelines, a Certificate of Lawfulness (CLD). ALL Loft Conversions will need Building Control Approval in order for the conversion to achieve legal compliance – don’t let anyone tell you differently! This ensures the build has met all current building regulations, including fire requirements below loft level. On your behalf, we will liaise with a fully licensed private Building Control Inspector. Once your plans are ready and prior to their being submitted to council, this is a good time to formally speak with your neighbour(s) with regard to a Party Wall Agreement. These can be informal or formal depending on the relationship you have with your neighbour. Although this is a strictly private arrangement between yourselves, we are happy to meet with your neighbour/s to provide information on the company and the technical nature of the work to be undertaken. It is important to note that, unless you share a freehold, you are within your rights to carry out work on the party wall but your neighbour can request a formal agreement, the costs of which will need to be borne by yourself. Click Here for more detailed information on Party Wall Agreements. Some Loft Conversions require formal planning permission, for instance properties designated as being ‘multiple occupancy’, (such as flats), or if the property falls within a designated Conservation area. 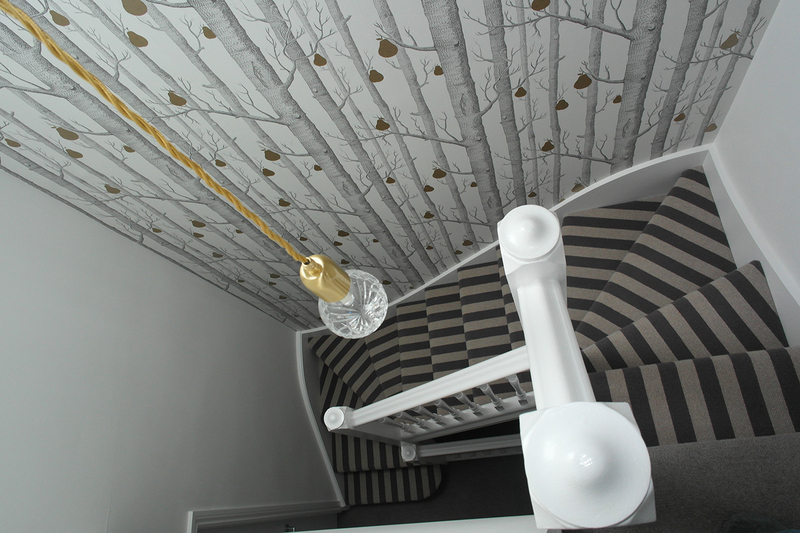 Our designer will advise if formal approval is required and if so, which scheme is most likely to be successful. As a specialist loft contractor, we have extensive experience with most London local authorities and local planning policy. Where Loft Conversions fall within the criteria of Permitted Development, it is recommended that a Certificate of Lawful Development (CLD) be obtained that the Local Authority, the application for which can be made by ourselves on your behalf. Once relevant approvals have been received (dependent on party wall agreements being in place) we will liaise with you regarding the start date for your Project. Our Operations Director will arrange a site visit to carry out a pre-build survey ~ to confirm all details, placement of scaffolding etc. and answer any further questions you may have. This is the time to explore any alternative finishes /additional items you may wish to have. We will advise you of the estimate build time as Project timescales can vary due to the size and specification detailed. All our builds area carried out by our permanent non-sub contracted teams to ensure continuity of quality control. Converting a loft to a bedroom for children or other family members is the perfect way to keep the kids happy and the adult lounge area clean & quiet. 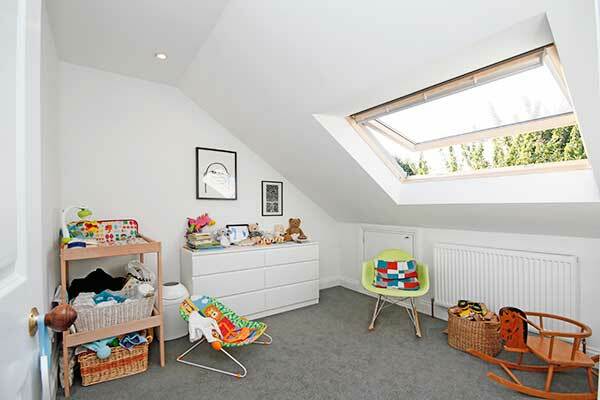 A Loft Conversion is the perfect choice for a growing family. 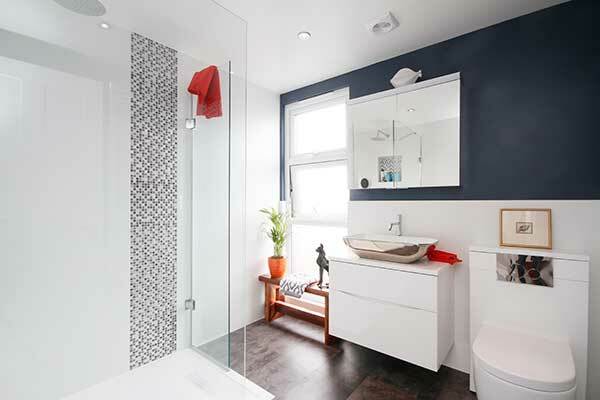 You can always use another bathroom in your home and the best way to include an additional bathroom is to convert your loft. You can also include a spa bath for ultimate luxury and a significantly increased home valuation. Do you run a home based or part time business that needs extra space or more privacy? 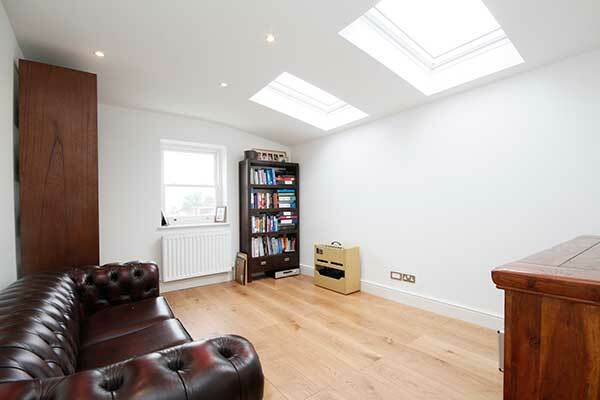 Then a loft conversion into a office/study could be what you need. Need to create a new master bedroom with more privacy? 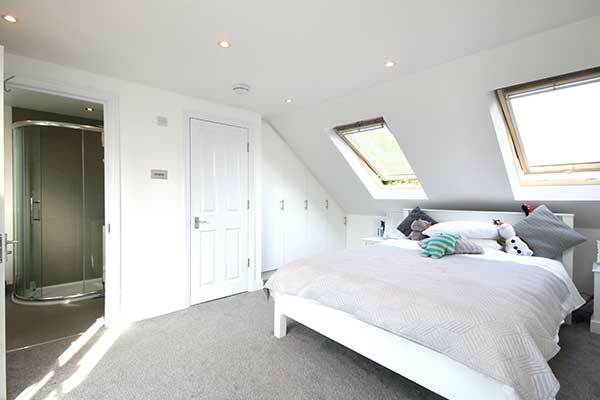 Then a loft conversion into a Master bedroom with en-suite is what you need. The perfect oasis of calm for to escape the pace of busy family life. 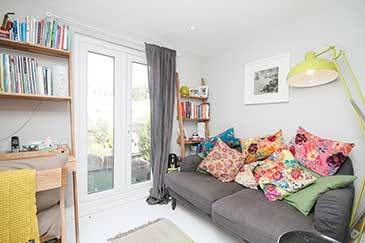 Need a separate living area for a relative or flat mate? We can install a single all-in-one bedroom, kitchen, bathroom combination to suit your needs. For when you have guests over or just want to have a living room that is private and sound proof then a loft conversion to living room is what you need. 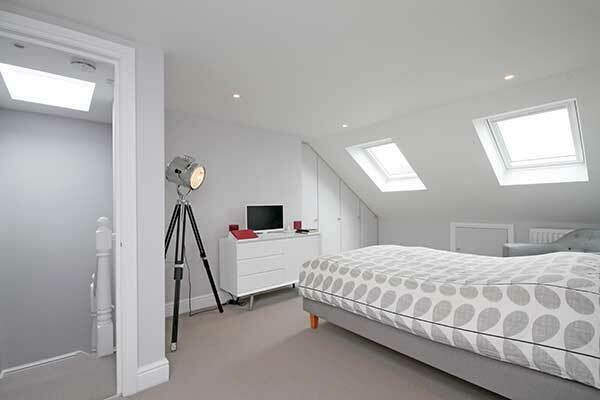 SMA Loft Conversions In-House Design Service can help design the loft conversion of your dreams that fully utilises the available space & complies with council planning regulations. Our design staff will directly arrange a date & time convenient for you, to visit your home, carry out a survey and assess your needs. We are experts in both single and double storey extensions and offer a professional service at competitive prices. So why is SMA Lofts different? Due diligence is the key ~ if you do your research, you will find that we are who we say we are!. Our reputation has been built on a long-standing, honest and transparent approach to quality construction. Our quotation will include a list of local client referrals ~ we urge you to make use of these to satisfy these claims for yourself. We take ownership & responsibility for your project! We offer a bespoke professional service prioritising your needs… not ours! Everyone’s needs are different so we treat you as an individual. 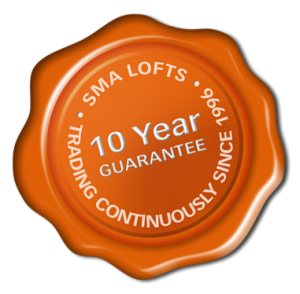 SMA was established in 1996 as a specialist loft conversion company & since then, has been trading continuously under the same company name, directors & registration number (First 5 years as a partnership and subsequently as a limited company). Your conversion will be undertaken by one of our eight dedicated, non-subcontracted permanent teams. We never sub-contract out our work nor carry out work on another contractor’s behalf. In a transient industry, we are proud that our teams choose to remain with us, many for over 10 years. We only work to a fixed price quotation and our aim at the outset, is to capture the entire project specification as far as is possible. We clearly state what is included and, more importantly, what is not. We believe you should know the final cost of your project before you start your work… something our previous clients will happy attest to. We carry unlimited Employers’ liability insurance & £2million ‘All Risk’ public liability insurance to protect you whilst the build is in progress and a full 10 year, transferrable, warranty once the work is complete. We are members of the Federation of Master Builders, a Build Assure Warranty Registered company, able to offer insurance backed warranties. We are a (Government Backed) Trust Mark approved member and member of The UK Trades Confederation. If you would like to discuss any of our services call us on 020 8537 0361 or our freephone number 0800 068 4606 or submit your enquiry using the form below and one of our team will get back to you as quickly as possible. Why not take advantage of our Limited Time Offer & get 5% off your quote for your loft conversion. Simply fill out the form below for your Free Quote.